Their work rhymes with two pieces of research that we have done. First, they find that the places that promoted the greatest level of mobility were places high in social capital. [For an image of social capital by state in the US c. 2000 see here.] This is less surprising, since other scholars have found that places with high social capital were among the places historically to invest in public high schools (e.g., Larry Katz and Claudia Goldin’s work on the birth of American public high school movement in the American heartland). Moreover, recent research by our research team, highlighted in Robert Putnam’s “Crumbling American Dreams” shows the changes in levels of community solidarity and togetherness, exemplified by the changes in his home town of Port Clinton, OH. Second, they find that places with greater percentages of minorities were also places that afforded less social mobility for young people. This resonates with work of Ed Glaeser and Alberto Alesina on how it is harder to foster public investments in places of greater diversity (in the US and Europe) and work that we did in “E Pluribus Unum” that also discusses the short-term challenges of increased diversity. While their work is retrospective, we are actively involved in gathering data on social mobility for youth from the bottom third of American households (in income and education) that strongly suggests that whether levels of mobility that existed for lower-third youth in the past, future rates of mobility are likely to much lower. Stay tuned for our evidence of this coming crisis and what we might do about it. This graphic from Good magazine (zoomable version here) has a nice picture, using Pew data, of who the “nones” are in America but as Bob Putnam points out, mis-states their lack of religiosity on the right hand side of graphic. Over half of the nones in our Faith Matters Surveys (which we’ve done three times) express belief in God. American Grace points out that the young have left houses of worship not because they are Godless, but because they dislike the close intertwining of conservative politics and religion. We’re at work on a project chronicling that since the early 1990s American working-class youth face declining chances of equal opportunity . We were thus intrigued by a 8/20/12 PBS NewsHour story – “In Rhode Island, Reinventing Summer School to Prevent Kids’ Learning Loss” — concerning efforts to combat summertime achievement gaps. But the visuals were highly troubling. While the intro to the story correctly reported that this was about poverty, not race, the pictures were virtually all of African American kids, giving the impression that most if not all of the poor in America are black. 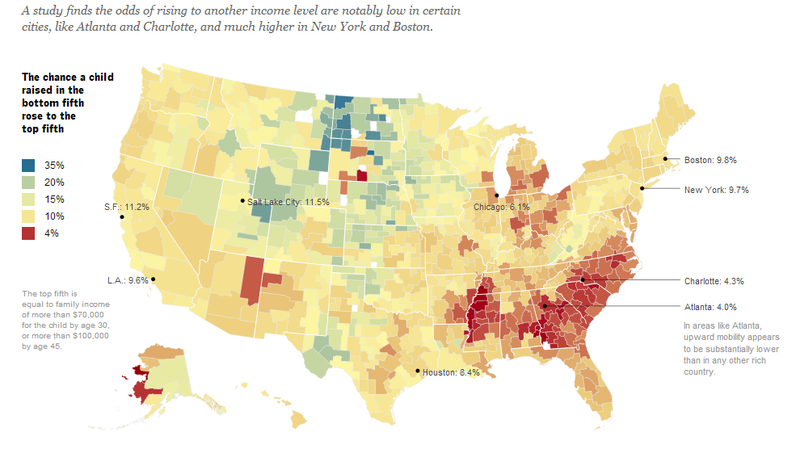 3) How mis-coloring “poverty” undermines a public response to the problem. Over the past decades, the black urban poor have come to dominate public images of poverty. Surveys show that the American public dramatically exaggerates the proportion of African Americans among the poor and that such misperceptions are associated with greater opposition to welfare. In this article I examine the relationship between news media portrayals and public images of poverty. I find that network TV news and weekly newsmagazines portray the poor as substantially more black than is really the case. More recent studies have fully confirmed Gilens’ original findings. In fact, according to a 2000 CBS News poll, only 18% of Americans know that most poor people are white! Moreover, our own analysis suggests that the misperception may be slightly greater among college-educated whites than among less educated whites, perhaps because the less-educated whites are actually more likely to know poor folks. Well-educated whites (college graduates) think blacks make up over half of folks on poverty! (According to the 1991 National Race and Politics Survey). The right number? Blacks comprise only 23% of folks in poverty in the US (according to 2010 Census estimates, Table 4 in the above link). Point #2: The invisibility of the poor whites in media accounts and hence (according to Gilens) in the resulting public image of American poverty hurts poor whites (by undermining any potential impetus to respond to their plight) and perpetuates the trope that poverty equals poor non-whites. Politicians and concerned citizens can’t effectively talk about and think about responding to the problem of American poverty if they can’t picture what American poverty looks like. Point #3: The progressive NewsHour surely aims to encourage viewers to take policy or direct action to thwart the poverty-based educational gaps the story describes. Ironically, Gilens’ book shows in great detail that support for help to the poor is dramatically undermined by this media distortion in who is poor. Namely, the fact that Americans misperceive that most of the American poor are black, makes them less inclined to respond. With visuals that accurately show the whiteness of poverty in America, media outlets could help overcome this crucial, irrational impediment to effective action against class disadvantage in America. – Martin Gillen’s 1999 book Why Americans Hate Welfare: Race, Media, and the Politics of Anti-Poverty Policy. University of Chicago Press. More recent citations: van Doorn, Bas W. “Media Portrayals of Poverty and Race in Pre- and Post-Welfare Reform America.” Portland, OR: Western Political Science Association Annual Meetings, 2012. Clawson, Rosalee A., and Rakyua Trice. 2000. “Poverty as We Know It – Media Portrayals of the Poor.” Public Opinion Quarterly 64(1), no. 1: 53-64. 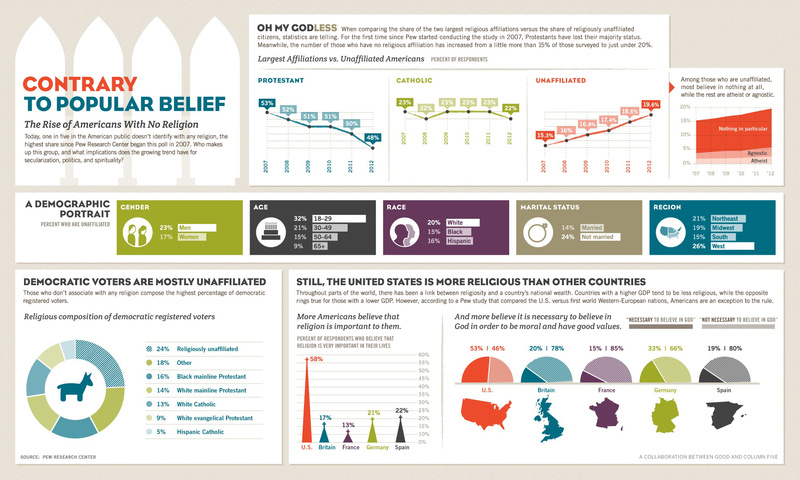 Our colleague, Chaeyoon Lim, wrote a summary of his research findings on the connection between religiosity and wellbeing using the amazing Gallup- Healthways data (that has surveyed 1,000 people a day for several years). 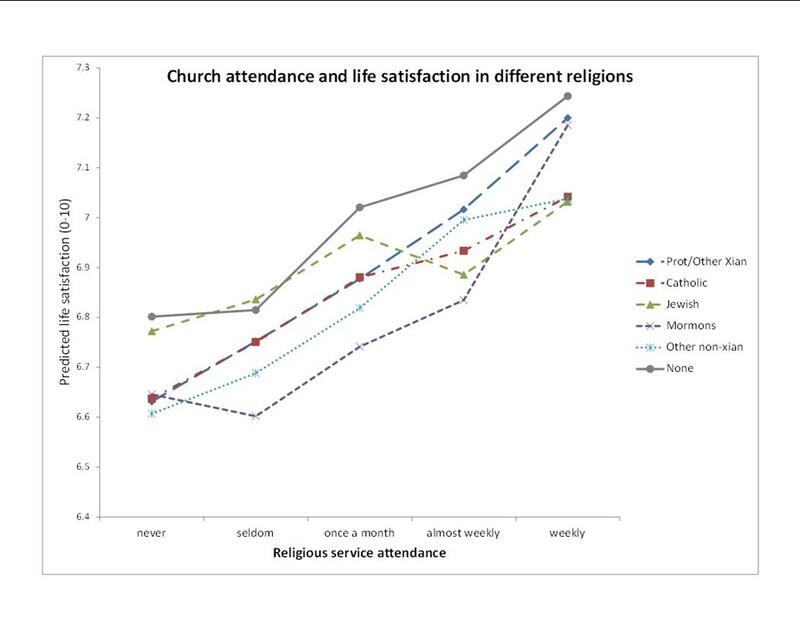 If you click on the below graph, you can see that all religions and even respondents with no religion frequently reported higher life satisfaction as they went to church more often (controlling for all the standard factors like age, region, gender, income, education, etc.). You may ask how those with no religion attended “church” frequently; most typically in our Faith Matters surveys it was when a religious spouse got their non-religious spouse to accompany them. Chaeyoon’s work also shows that while all Americans are happier on the weekend, secular Americans experience a drop from Saturday to Sunday in their happiness; religious Americans are happier every day from Monday through Saturday and then their happiness, rather than declining on Sunday, goes up even higher than Saturday. For other work on the connection between happiness, life satisfaction and religiosity, see American Grace (end of Chapter 12) and “Religion, Social Networks, and Life Satisfaction” by Chaeyoon Lim and Robert Putnam, American Sociological Review 2010, Vol. 75(6): 914–93. People frequently ask me of examples of city-wide efforts to build social capital. The are several examples in Better Together of Tupelo, MS and what Portland did with city boundaries. Beyond this, Seattle had an interesting program called the Seattle Department of Neighborhoods’ Neighborhood Matching Fund (that provided mini-grants for neighborhood improvement efforts where residents provided matching sweat equity), Minneapolis’ Neighborhood Revitalization Program (where city power was devolved to local neighborhoods to set priorities), and the interesting Front Porch Alliance under Indianapolis Mayor Steve Goldsmith (which has not been as vigorously advocated in subsequent administrations). I’m aware of several more contemporary examples: NYC Service (and the Cities of Service effort to replicate this), Philadelphia’s Connector Program, and Social Capital, Inc. Inspired by President Obama’s call for a new era of service, Mayor Bloomberg in his January 2009 State of the City address announced that New York City would lead the way in responding. After consulting with volunteer groups that worked in the arts, with students, and with seniors to learn what was most needed, they launched NYC Service with Diahann Billings-Burford as their inaugural Chief Service Officer. NYC Service would enable NYC to do more with less (since economic times were tight) and help harness volunteers in “impact service”. NYC Service, in its several years, has achieved impressive results. They have used citizens to vaccinate over half a million individuals against H1N1; engaged over 400,000 students in school-based volunteering; trained over 10,000 people in CPR who then trained additional New Yorkers; and coated two million square feet of rooftop under their “Cool Roofs” program with reflective white material to lower building’s cooling costs in the summer and help alleviate global warming. They also launched the Civic Corps, a full-time group of AmeriCorps stipended volunteers who work in the Mayor’s Office or with city non-profits to help those non-profits mobilize volunteers. The Civic Corps in FY11 recruited almost three quarters of a million volunteers, raised $1 million in cash and $6 million in non-cash donations, such as professional services, clothing, food and books. Over 2,500 volunteer opportunities have been posted to NYC Service (their volunteer clearinghouse website) and they have garnered over 600,000 unique website visitors looking for volunteer opportunities. Between their website and the Civic Corps, NYC Service has mobilized over a million NYC volunteers. Although NYC Service does not directly track this, one of the most important outcomes (above and beyond how many success mentors they train or how many square feet of roofs they paint white), is the social capital and civic engagement that NYC Service instills. Studies have shown that for many governmental objectives (say keeping streets safe or increasing academic performance), a civic engagement strategy (through neighbors knowing each others’ first names or parents being more involved in their kids’ learning) is more efficacious than a top-down government-funded approach. NYC Service is undoubtedly increasing citizens’ sense of efficacy (that they can and are making a difference on issues like the environment or school readiness or dealing with truancy). This increased efficacy is likely to cause more New Yorkers to intervene elsewhere (e.g., when someone has fallen on a street or is having a heart attack, or when a neighbor needs assistance). Implicitly, much of what government does is remediating for gaps in civil society. For example, social service and safety nets step in where family and neighbors don’t. Police are necessary where social sanction and control is insufficient to police social norms. Paid Fire Departments are needed when all-volunteer fire departments can’t fulfill their duties. The social capital created by NYC Service is likely to have a significant impact, way above and beyond the value of volunteer hours (which are important and sizeable in-and-of themselves). Greater local participation down the road is likely to lead to: a) better crafted and more responsive local policies; b) better performing and less corrupt government since the civic engagement and transparency will hold government officials accountable; c) greater net ability to change citizen behavior relative to an approach that relies on mandates (which are harder to get enacted and less popular); and d) potentially less of a need for government down the road, if engaged citizens do their jobs effectively. Replication of NYC Service: NYC Service is already being replicated. Mayor Bloomberg held a competition (funded by Rockefeller) and a selection panel chose 10 cities from the cities that applied in June 2010. These winners received $200,000 each to cover some of costs of a Chief Service Officer (which they had to hire) and received wraparound technical assistance (with work-planning, and project management). Rockefeller and Bloomberg Philanthropies announced a second grant round with 10 winners and awarded them in June 2010. Bloomberg Philanthropies created a “learning community” around these 20 cities [see Cities of Service] with the goal of cross-fertilizing learning, experience sharing, and developing best practices. The CSOs came together face-to-face 2-3 times during the first year, engage in bi-weekly group conference calls, and receive individual technical assistance. New cities have also agreed to develop high-impact service plans that were not grantees in these two competitive rounds. Some of the original cities now have the CSO position supported by their budget or have indicated they will include the CSO in their budget. We’ll look forward to hearing more about NYC Service and their replication efforts. From their three years they have identified 10 traits in connectors (what they call “the Connector Competency Model”) and convened these connectors to connect them with each other. “are hubs of trust, seen as trustworthy and credible. use art and design to mobilize people around an issue. foster one-to-one linkages among people they know. consider the common good as well as personal agendas. convey a vision that generates excitement. Each Connector was profiled and NPR will do a video on each one weekly over the next year. Last week, Leadership Philadelphia convened all of the Connectors since 2005 to thank them for their contribution to the community, to connect them with the newest connectors, to have them brainstorm on an issue raised in Knight’s Soul of the Community report, and to send them out into the community to make a Pay It Forward contribution. The latter was a gift of $50 cash with the instruction that they give it to someone in Philadelphia who needs it, and to report back to Leadership, stirring up some grassroots goodwill during the holidays. Leadership Philadelphia has also initiated a This I Believe project, partnering with the local NPR station to have leaders and then other citizens write and then read their belief statements on air. Read a news report on their most recent meeting of all their Connectors. The group that launched Creative Connectors, Leadership Philadelphia has a website here. The Connector Project website available here. Inspired by reading Bowling Alone, David Crowley, whom I regard as an unofficial mayor of social capital, decided to launch Social Capital, Inc.
David was moving to Woburn, MA (his home town) at the same time as he was inspired to see what he could do at a local level to rebuild social capital. He launched SCI and focused on trying to increase social capital in Woburn. SCI Woburn was launched in summer 2002. In 2004, SCI expanded to Dorchester and in 2006-07, SCI began work in Lynn. They have now expanded to Fall River and Milford. SCI sees their mission as developing new “social capitalists” and believes it can train young people in the “unique set of skills and attitudes that enables them to collaborate effectively, make connections, bridge differences, and nurture social networks to make a difference. David is an ardent evangelist for social capital. They are in the process of developing tools for would-be social capitalists and we will let you know when those become available. In 2010-2011, here are some of SCI’s accomplishments. 240 youth and other emerging leaders developed Social Capitalist skills with SCI this year. Over 4,015 food & clothing items have been generated by SCI AmeriCorps members and volunteers for people in need during these difficult economic times. Over 12,500 individuals use an SCI community portal every month to connect with local civic happenings. In 1925 the French anthropologist Marcel Mauss published his classic essay “The Gift,” which argued that contrary to the textbook account of primitive man merrily trading beaver pelts for wampum, no society was ever based on barter. The dominant practice for thousands of years was instead voluntary gift-giving, which created a binding sense of obligation between potentially hostile groups. 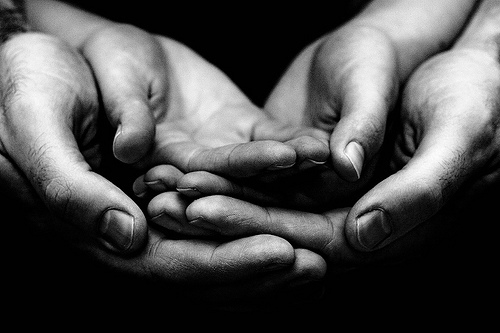 To give a gift was not an act based on calculation, but on the refusal to calculate. In the societies Mauss studied most closely — the Maori of New Zealand, the Haida of the Pacific Northwest — people rejected the principles of economic self-interest in favor of arrangements where everyone was perpetually indebted to someone else. Picking up where Mauss left off, Graeber argues that once-prevalent relationships based on an incalculable sense of duty deteriorated as buying and selling became the basis of society and as money, previously a marker of favors owed, became valuable in its own right…. It’s an old dream among anthropologists — one that goes back to Rousseau. In 1968, Graeber’s own teacher, Marshall Sahlins, wrote an essay, “The Original Affluent Society,” which maintained that the hunters and gatherers of the Paleolithic period rejected the “Neolithic Great Leap Forward” because they correctly saw that the advancements it promised in tool-making and agriculture would reduce their leisure time. Graeber approves. He thinks it’s a mistake when unions ask for higher wages when they should go back to picketing for fewer working hours. “Perpetually indebted to someone else”… this sums up so much of what I love about my community life in Burlington, VT right now…. I was raised to value making my contribution to others while taking great pains to avoid accepting the same from others. So were lots of folks here. But that’s a recipe for setting yourself apart, for isolation. As my family has learned to accept favors from those around us, it’s made our contributions to others that much more meaningful and personal. Now, through Front Porch Forum, MealTrain, our church, school, neighborhood and other means, we ask and offer favors daily from hundreds of friends, neighbors and acquaintances. Each request works against isolation and lays down another thread in the web of community that supports our life. This is a crucial asset… as much as our house, my job, the kids’ college savings. My brother and his family are planning a holiday visit to see us in Vermont this month. We could all jam into our house, but I know they would sleep better if we had more space for the two families. Hotels are expensive and distant… B&Bs too. So, I put the word out to neighbors and got several offers of empty houses that we could use on our block. These neighbors are traveling out of state and are glad to share their home while they’re away. We’ve done this a dozen times over the past few years… offering or asking for empty-house guest lodging. Make that hundreds of times if we include other favors… meals, rides, tools, advice, kids stuff, labor, baby/pet sitting, on and on. This is incredibly generous and trusting of all involved… but it’s also keeping each of us “perpetually indebted to our neighbors” in a way that makes our community stronger with each exchange. It’s a wonderful description of generalized reciprocity of the sort that undergirds social capital as discussed in Bowling Alone. Hat tip to Lew Feldstein for spotting the FPF post. Peter Davis, Harvard University senior, got motivated to launch OurCommonPlace in 2009 after taking Bob Putnam’s course on social capital. He co-launched OurCommonPlace with Max Novendstern confident that the internet could be utilized to build up American civic life. CommonPlace is a web-based platform that greatly facilitates local community engagement. It makes it far easier for you to connect with and share information with neighbors and local leaders. They are now active in 10 cities and towns, are: Falls Church, VA; Harrisonburg, VA; Vienna, VA; Warwick, NY; Marquette, MI; Burnsville, MN; Golden Valley, MN; Clarkston, GA; Owosso, MI; and Chelmsford, MA. 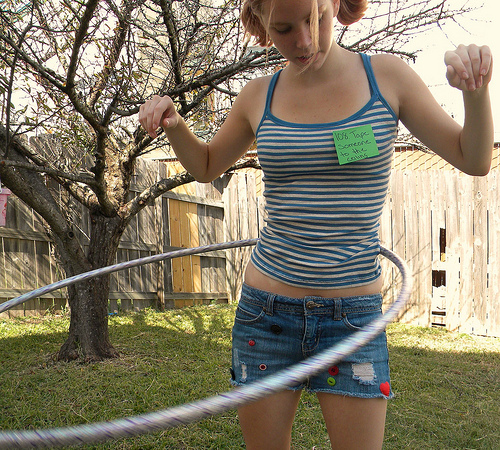 Users can connect one-to-one or one-to-many (to their neighborhood or to their town). These one-to-many posts can either be a neighborhood post (e.g., do you have a lawn edger I can borrow, or offering babysitting services, or need someone to help me with my computers.) or a community announcements that notifies the whole town of some upcoming event. Residents can also be e-mailed a weekly summary of key interesting posts and events. 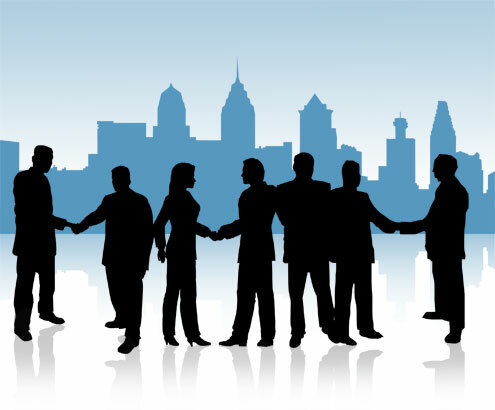 The founders are confident that the social networks formed from exchanging information, trading services or skills, collaborating with neighbors or participating in local events will increase social capital and bring all the attendant benefits (safer streets, better working government, more effective schools, a more vibrant economy, improved public health and happier neighbors). They maintain a blog with some examples of interesting connections made. Examples are a Marquette kid who got a “new” bike and wants to pay it forward; residents fighting restrictions and fees on block parties; or neighbors working to help find the owner of a lost parakeet. Here is an article “A Common Place for the City” from January about their efforts in Falls Church, VA (Peter Davis’ hometown). And here is Peter Davis describing his vision to the Falls Church City Council. Here is a 32 slide presentation back from 2010 about CommonPlace. Read Kate Brunkhurst’s experience with CommonPlace FallsChurch on her blog. Another commercial recent entry into this space is Nextdoor (company site here; NY Times article here). Nextdoor was founded by Nirav Tolia (CEO), who formed Epinions in 1999. Video of the Nextdoor service here. Residents on Nextdoor get a map of their community on the site and can use the site to ask questions, request and share local service recommendations, sell or donate items they no longer need, and help each other in ways that benefit the entire neighborhood, such as, “giving an extra armchair to a neighbor”, getting a recommendation for a new babysitter, organizing a block party, learning about the timing on a construction project. There is no cost for the service. Phone verification. Nextdoor sends an automated phone call with a unique code to verify a new account. Postcards. Nextdoor sends a postcard to a new member’s address with a unique code that a new user must enter to verify an account. Credit card billing address. Nextdoor can instantly verify a new member’s home address through a credit card billing address and a $0.01 charge. Neighbor invitations. A verified member of a Nextdoor neighborhood can vouch for a neighbor by inviting them by email or postcard. Other folks attempting to use technology to help bring neighbors closer together are Vivek Hutheesing of rBlock and Keith Hampton (of i-neighbors). See Steven Clift’s helpful comment posted below.